Rare Opportunity to Own a first floor unit with large private patio just steps from Smathers Beach. This Beautifully appointed two bedroom and one bath Condo is perfect one level living with no steps or stairs. Conveniently located at front of the building adjacent to parking. 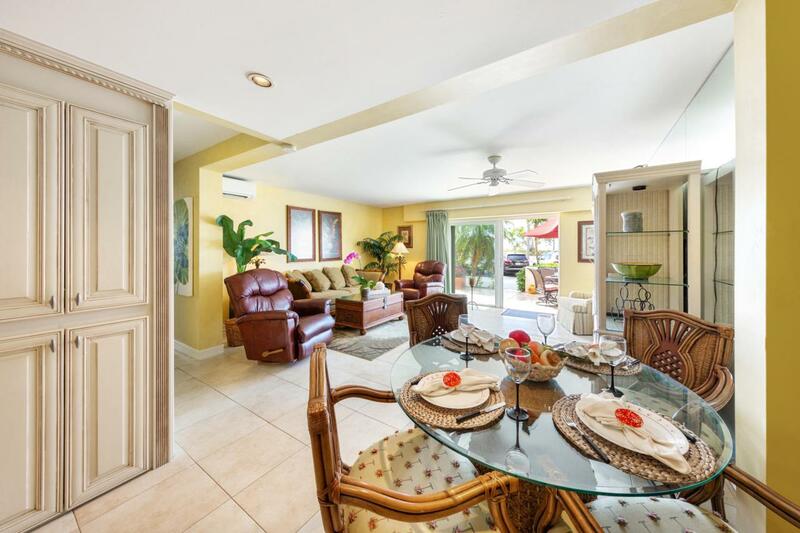 No need for any renovations, with gorgeous kitchen, tiled floors, central AC and very well maintained fixtures, appliances, Bahama Shutters and soon to have new Impact windows and doors. Added advantage of an outdoor first floor private patio large enough to accommodate Oceanfront Dining and entertaining for your neighbors and friends.Key West By the Sea features wonderful amenities, including two pools, tennis courts, club house and gorgeous grounds for your four legged friends. Don't Delay call Today! Listing courtesy of Suzanne M Moore of Keller Williams Key West Compass Realty.